It hasn't been an easy couple of years for Editors. Continually (and unfairly) downplayed in the musical hierarchy despite their opening pair of stunning albums (the first of which celebrated a decade in this world this year) and a smattering of remarkable singles since then, this latter period has been characterised by the departure of long-term guitarist Chris Urbanowicz and a disappointingly flat and insipid fourth record—The Weight of Your Love—which suggested that the band may have been in a terminal decline. Thankfully, In Dream is an arrest to any such postulated decline: bold, occasionally baffling, and utterly unlike anything the band has done before. And while it still may not rank with their finest work, it is the sound of a band finally moving on and discovering new ground rather than dwelling on past concerns, and the better for it. 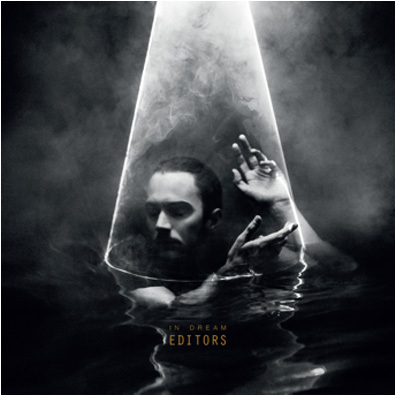 Despite the press release dropping all sorts of hints about dance and electronica influences, Editors have expanded towards the stadium and the biggest songs they can muster. Deftly balancing synthesizers, gloom-drenched melodies and Tom Smith's solemn baritone, the record is almost the evil twin brother of the best record The Killers haven't made since Hot Fuss. The best tracks are full of malevolent unease, though always wrapped up in enticing melodies—bitter medicine coated in honey. Opener "No Harm" is magnificent, a steadily unfurling flower of menace and gathering clouds shot through by falsetto. "Forgiveness" is startlingly bold and dramatic but somehow dazzlingly powerful, with Smith snarling and snapping over a battle between guitars and synthesizers. "The Law" (featuring Rachel Goswell from Slowdive) builds expertly to a circling electronic climax, and the closer "Marching Orders"—a track that teases you, twists you, and then tantalisingly never quite explodes the way you expect—is a glorious end to the proceedings.